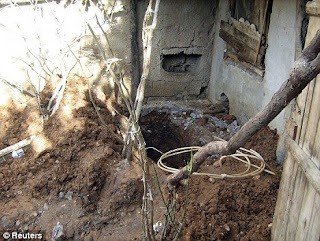 Turkey: A 16-year-old Turkish girl was buried alive under a chicken coop by relatives because she talked to boys. The body of Medine Memi was found in a sitting position with her hands tied in a 6ft hole dug in the courtyard of her family's home in Kahta, south-eastern Turkey, 40 days after she had been reported missing. The hole had been cemented over. So-called 'honour killings' are particularly prevalent in the predominantly Kurdish south-east of the country. The teenager had a large amount of soil in her lungs and stomach - showing she suffered a slow and agonising death.